Affiliate links are included throughout this post at absolutely no cost to you. All opinions expressed are 100% my own. Summer 2018 is getting closer, and churches all over the country are gearing up for an exciting summer filled with Vacation Bible School activities! 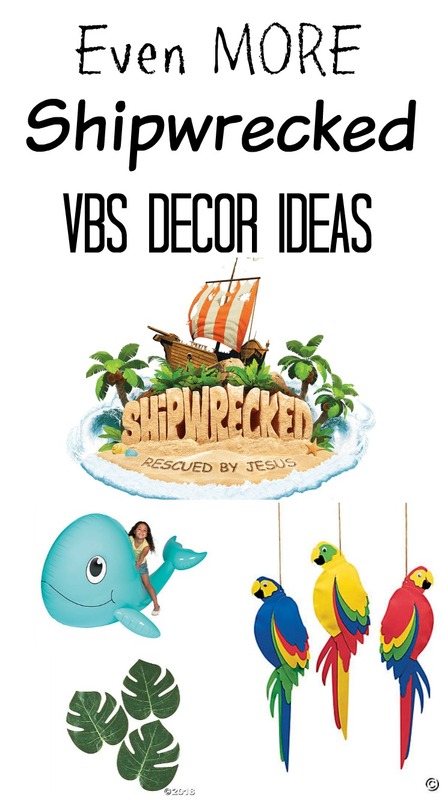 One of the most popular VBS themes for 2017 was Maker Fun Factory by Group, and this year the VBS masterminds have been setting sail and putting together a curriculum that will help spread the Gospel through the message that God is always with us, even through the toughest storms we may face in life. This year, we’re putting our goggles on and getting ready to make a splash with Shipwrecked: Rescued by Jesus! Affiliate links may be included throughout this post at no cost to you. I love sharing about VBS and all of the fun finds I come across that can help make your VBS planning a real success! Ahoy, mateys! Word on the deep seas is that Group has officially released their 2018 Vacation Bible School theme, and we’re all really going to be feeling the motion of the ocean as we weather life’s storms and come upon a desert island and learn that God is always with is, even through the toughest waters. It’s all happening in Shipwrecked: Rescued by Jesus, coming Summer of 2018!